Zealios makes personal care products for endurance athletes. Sun. Chlorine. Saltwater. Sweat. These are elements fighting against you as an endurance athlete. Zealios provides the solution--from training day to race day--to protect, cleanse and revitalize your body. Rudy Project offers Technical sunglasses, bicycle helmets, wraparound glasses, but also sport accessories for brand extension - watches, clothing and bags, the range now comprises more than 5,000 articles. Xterra was born in San Diego- the birthplace of triathlon. With unparalleled design, we strive to offer the highest performing triathlon wetsuit at the best value. 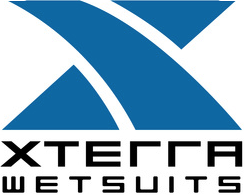 As a global leader in triathlon wetsuits,Xterra Wetsuits provides speed, comfort, durability and buoyancy.